Hosting a hoard of ghost and goblins for Halloween? No party is complete without spooky decorations, but most of the stuff now crowding the store aisles is made from plastic, toxic paints and synthetic fabrics. Setting the stage for a scary Halloween party doesn’t require all of this spending and waste. In fact, you can create some truly festive Halloween decorations with stuff you already have lying around the house and have lots of fun doing it! If you’re an egg eating family, you probably send an egg carton into the recycling bin every week. 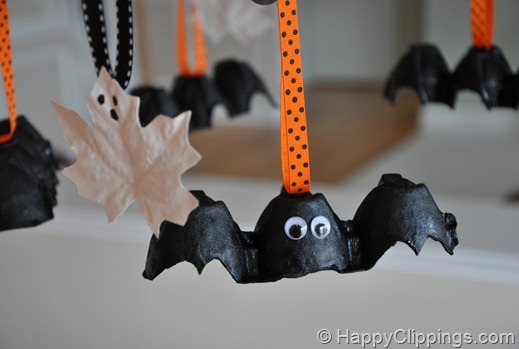 Save a few, add some non-toxic paint and ribbon, and you’ll have these adorable upcycled bats from Happy Clippings. 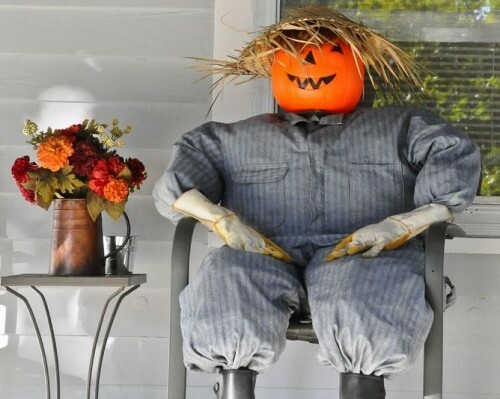 Scarecrows are the perfect way to dress up your porch or yard, but why spend the money to buy one pre-made? Dig out some unused clothes from your basement (flannel shirts, funny dresses and work jumpers work best) or find some appropriate garments at the local thrift store. Stuff with leaves and other yard waste from your own lawn. Tie off arm and leg openings with string before stuffing into boots and gloves. Once your scarecrow body is properly positioned, top off with a pumpkin head and hat. 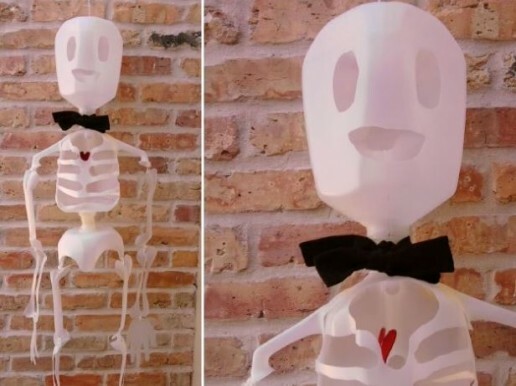 Gather up seven empty plastic milk jugs and you’ll have the perfect materials for this jolly hanging skeleton from Make Zine. Leave it to Martha Stewart to turn every day waste into adorable table decorations. 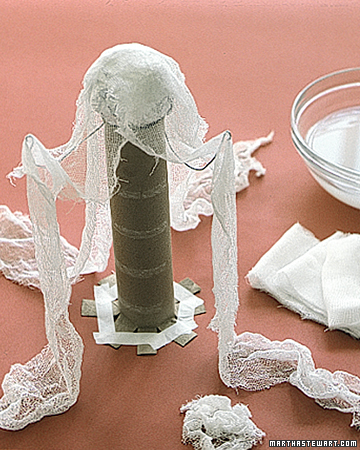 Layers of starched cheesecloth, some used paper towel rolls and a little wire give these little specters their haunting postures. Tutorial here. If you have some cardboard or office paper sitting in the recycling bin, this simple Halloween garland from 6ftMama is the perfect way to give it a second life. Use Mason jars or upcycled pickle, olive and baby food jars to create a mad scientist tablescape. 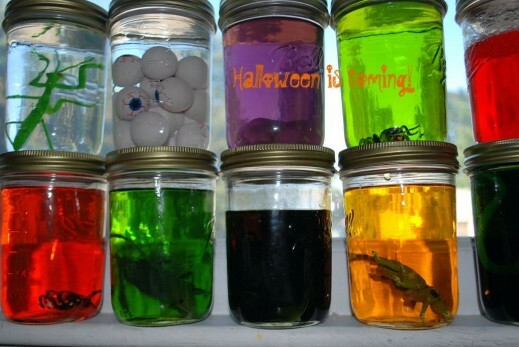 Toss food, animals toys or other strange objects into the jars, fill with water and non-toxic food coloring, and you’ll have a shelf full of freakish Halloween experiments. 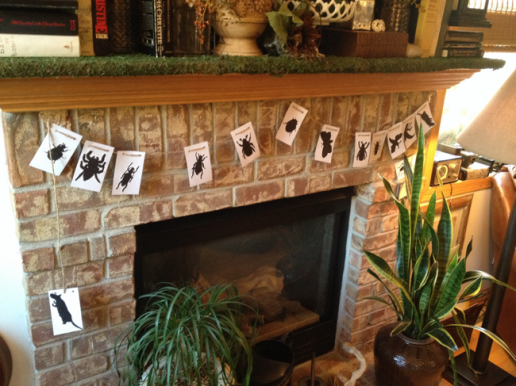 Check out the tutorial at MoneyCrashers for step-by-step instructions. 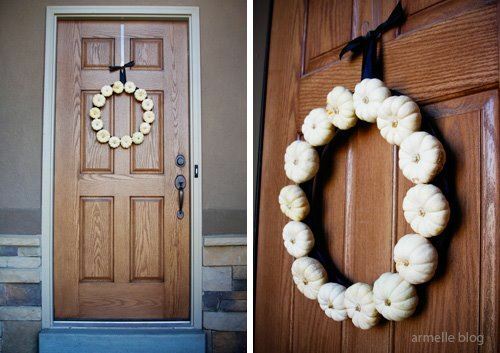 For those who prefer a more classic seasonal look, this mini pumpkin wreath from Armelle Blog is the perfect DIY project. Best of all, it’s easy to disassemble and compost when Halloween’s over. 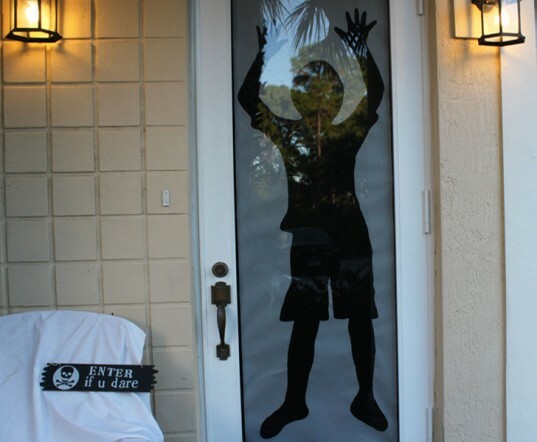 All you need is a roll of recycled paper and some eco-friendly paint to make these super-spooky homemade window silhouettes from Inhabitat. Once the holiday’s over, just roll them up and save for next year. 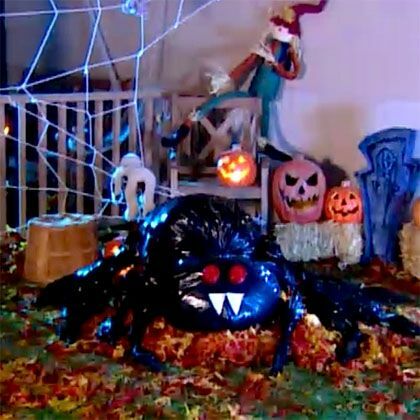 With just a few materials you probably have lying around the house, you can create this creepy crawler from Spoonful for a lawn decoration. 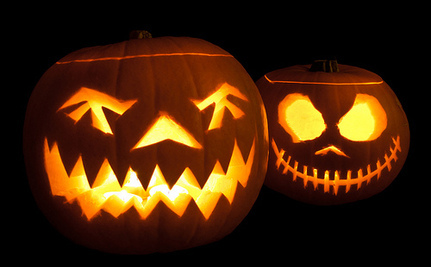 Use biodegradable garbage bags, or be very careful not to poke holes, and you can reuse them when Halloween is over. love the milk cartoon skeleton! Love the milk bottle skeleton, he would look awesome if you found a way to light him up with a colour. This is such a fun read! I have been wanting to decorate my house but I want to make sure that I do so in an environment friendly manner. This post walked me through some creative ideas of my own. I especially love the upcycling ideas! The ideas are fun, creative and most can be saved to use year after year. Here are some more ideas for upcycling candy wrappers that I recently researched, since most cannot go into regular recycling bins! http://www.everblue.edu/blog/what-not-recycle-halloween Has anyone tried this?